Complete solutions, composed of best-in-class brands and services: ProMach is your partner from start to finish. Our product brands are grouped into distinct business lines that make the most sense to our customers, covering every function of the packaging line. 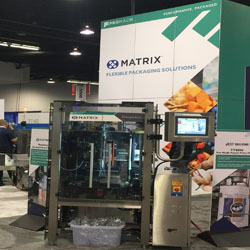 ProMach ﬁlling and capping solutions protect the quality, freshness and ﬂavor of products expected by your consumers—without compromising the productivity, reliability and performance you need. ProMach offers extensive experience handling a wide range of products in diverse conditions. Many of the world's most successful brands are packaged by ProMach flexible solutions. Reposition and move product wherever you need it: ProMach designs and manufactures durable product handling solutions including conveyors, vision systems, loading systems, automation controls and more. Accuracy, speed, and efﬁciency: ProMach is recognized across the globe as a leading, single-source supplier for high-quality labeling, coding, and marking systems. From standalone applications to complete systems, manufacturers of every product type can reduce costs, optimize performance, and deliver more with ProMach integrated end-of-line solutions. Meet your most challenging pharmaceutical packaging requirements with minimal downtime, higher productivity, and true pharmaceutical packaging performance. At ProMach Performance Services we inject measurable performance into any packaging line, system, or process—regardless of which manufacturer's machines are in the build—overcoming engineering challenges and unforeseen obstacles to keep the line moving and keep your customers happy. Discover how our Integrated Solutions, Engineering, Design Build and Productivity Software solutions can work for you. ProMach is a family of best-in-class product brands that stretch across the entire packaging spectrum, serving manufacturers of pharmaceuticals, cosmetics, foods, beverages, household and industrial goods at every scale. Discover our diverse portfolio of product brands and how we can work together to package your business with precision, with efficiency, and with performance. ProMach designs, manufactures, integrates, and supports the most sophisticated and advanced packaging solutions in the global marketplace. Its diverse customer base, from Fortune 500 companies to smaller, privately-held businesses worldwide, depends on reliable, flexible, technologically advanced equipment and integrated solutions. ProMach is headquartered near Cincinnati, Ohio, with manufacturing facilities and offices throughout North America, Europe, South America, and Asia. For more information about ProMach, visit ProMachBuilt.com.